Working on a floating feedlot may not be everyone’s cup of tea, but for those who love livestock and meeting people from around the world, it can kick off diverse career pathways. The LiveCorp shipboard stockperson training course is the entry point for young, enthusiastic stock handlers to become part of the livestock export industry. The next one is being held from 30 April to 3 May and registrations are now open. Stockperson Richard Leitch is one of the trainers and has more than 20 years’ experience in the livestock export industry. He’s maintained friendships with many former crewmates from all over the world. “You work with a bunch of people from different backgrounds, so you’ve got to be able to adapt. But you’ve all got a common goal, which is to deliver Australian livestock to another country in even better nick than when they boarded,” Mr Leitch said. 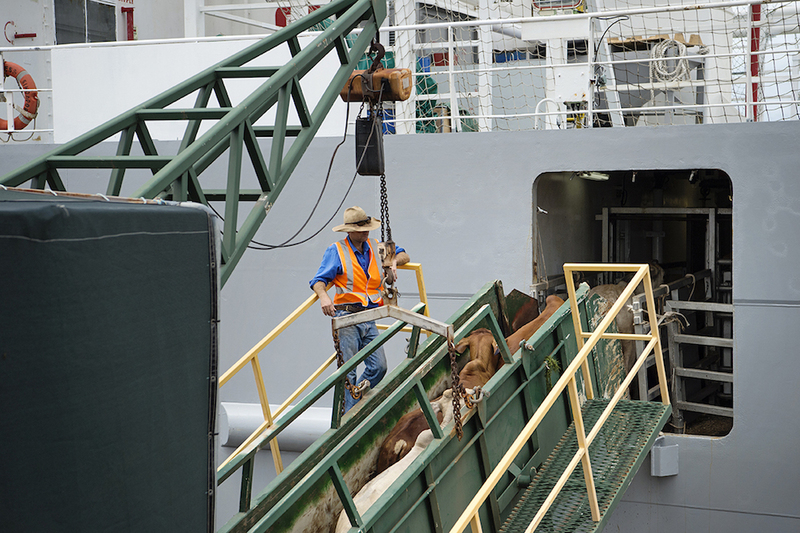 Stockpeople are vital to ensuring that the welfare of livestock on board export vessels is maintained. It’s a unique experience, and not for everyone, but Mr Leitch says it can also lead to many other roles in different countries. “If you’re passionate about the industry, the best option is often to start from the ground up by working in a feedlot and developing your animal handling skills, and then building relationships that will help you get on a ship. “Doing the stockies course provides a range of extra skills such as fodder budgeting and managing livestock welfare, as well as an understanding of life on board a ship and the jargon every industry has. The course is the first step in providing accredited stockpersons to service the livestock export industry in accordance with the Australian Standards for the Export of Livestock (ASEL). Participants learn about adapting to life and work on board; animal handling; detection, diagnosis, treatment and prevention of diseases; and feed, water and deck management. A pre-requisite for acceptance into the training program is demonstrated stock handling experience. The next course will be held in Fremantle, Western Australia from 30 April to 3 May. For more information, visit www.livecorp.com.au. Glad you are positive about the stockies course. We need appropriately trained people on ‘floating feedlots.